One of our business associates, an architect, recently remarked “I’ve noticed that your people are different from other crews… they always seem happy while working and eager to help you with anything.” This was obviously nice to hear and a strong validation of what Meridian has done over the years to recruit, keep and support valued construction employees in key positions. For many if not most in our industry right now, the number one problem is finding and holding on to enough reliable people to keep up with all the demand. Our conversation with this architect made us think further about the importance of not only finding but keeping good people once you have them on board. This is vitally important in the skilled trades where your work is set apart from “good enough” in the construction business. It’s also critically important in every other department of our company because, even though buildings are tangible products, construction management is really a service business. Clients, associates, contractors, vendors, media and the public need to interact with several different “points of contact,” i.e. people, in the firm. The service experience needs to be high quality and consistently performed by every team member. So how do you get your people highly engaged across all customer touch points as well as focused on the quality of their work? Companies that work hard internally (on their own people and processes) as well as externally (production quality and customer service) tend to have a strong human culture and a better identified brand in the market. It’s crucial to strike a good balance in serving both the people who pay you and the people you pay. The people you pay take care of the people who pay you – a wonderful synergy! As an owner/senior manager, working hard internally means taking responsibility for more than the bottom line. It means sincerely caring about what’s going on inside each of your team members and doing your best to accommodate them in ways that help them grow professionally and personally. Mostly, it means leading by example and offering the willingness to support the team by actually following your own advice. The more confidence that owners or senior managers can have in their project managers and crews, the more things get done according to the high standards they set. Meridian Construction has been able to build a loyal core and keep adding excellent people as we’ve steadily grown over the years. We have also developed highly collaborative relationships with enough contractors and subcontractors in every profession and trade in our industry to respond quickly to growing client demands. We’re pleased to share a few of the ways we’ve been able to build and keep a winning team. How do you define “culture” within a company? It has something to do with the kind of people you want to attract; their values, attitudes, goals and general outlook on life and work. Company leadership has the unique opportunity to define the culture in a way they can demonstrate themselves and continually strive for every day. Part of our culture at Meridian is enjoying our work and showing it. One of the ways that comes out is in how we work together to solve tough challenges. Nobody is afraid of asking questions and everyone is encouraged to simply do the best they can with what they have at the moment. They know that help is there for the asking when they need it and as leaders, we’re never more than a call away. You know this has to come from your heart. You feel for the wellbeing of your employees because they become your second family. Maybe they are your only family. Sincerely caring can be shown in a number of ways and sometimes it means stepping up in a significant manner to help someone who’s struggling and deserves all the help they can get. It’s also important to give your team the appropriate tools they need so they can best apply their skills. Your unique company culture and relationships can help connect you with some of the better talent in your market. Look for people in each trade or specialty that really love what they do and enjoy the esteem earned in their accomplishments. Keep reinforcing their good work and watch it keep getting even better. Compensating properly and on time is crucial. Recognizing success and offering positive strokes as they’re earned goes a long way in winning loyalty as well. In addition to our core team, Meridian is fortunate to have strong relationships with many of the finest specialty artisans in New England. We’re not claiming to be recruiting or HR experts by any means. 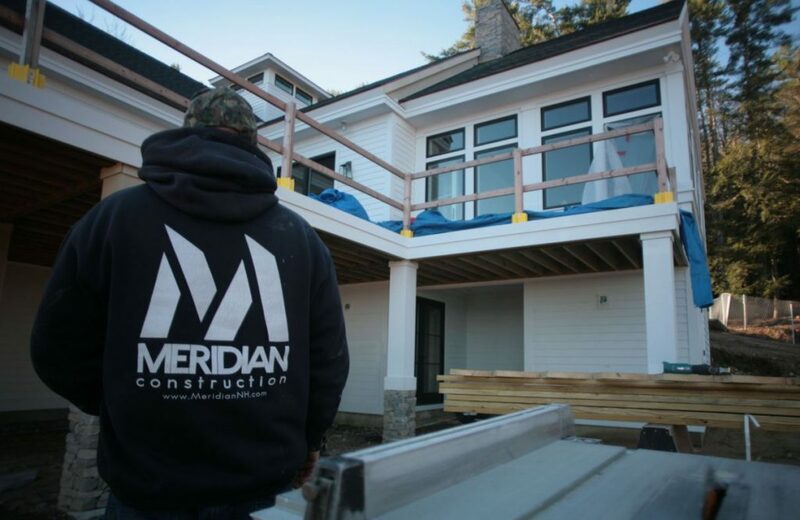 We have, however, come up with a formula here at Meridian Construction that has served our clients extremely well. It all stems from the four recommendations above. Appreciation from happy clients spreads like wildfire throughout our company and that includes every partner, subcontractor and vendor. Continually hearing the gratitude from clients and company leadership for their successful work keeps spirits high and quality excellent on the job site.